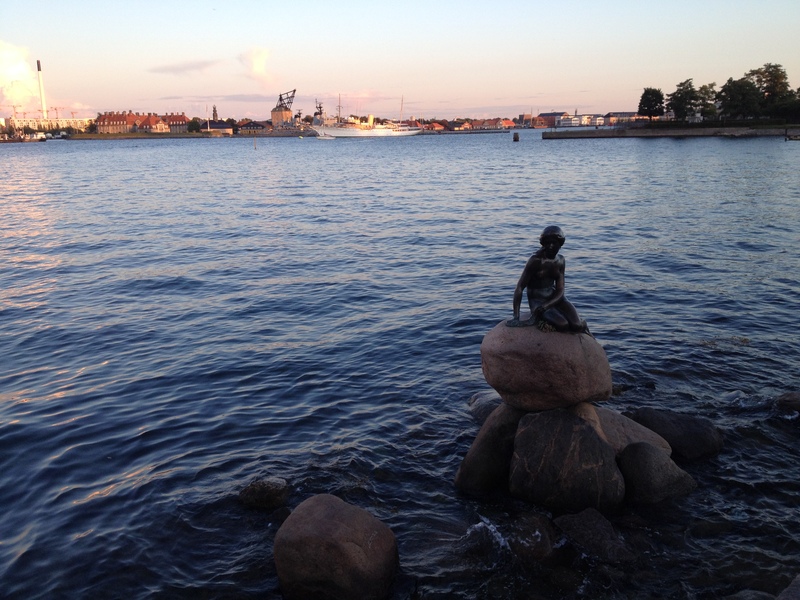 In late August 2014, researchers, policy makers and practitioners alike joined together in Copenhagen for the Third Nordic International Conference on Climate Change Adaptation. The organisers CRES (Centre for Regional Change in the Earth System ) and the co-sponsors Mistra-SWECIA (the Swedish research programme), Nordforsk, the Helmholtz-Zentrum Geesthacht (Centre for Materials and Coastal Research), NORD-STAR (Nordic Strategic Adaptation Research) and the Danish Council for Strategic Research brought together 230 participants from a variety of countries and backgrounds to discuss how to move from adaptation research to decision-making. A number of thought-provoking sound bites from three days full of presentations and discussions on a breadth of exciting and varied adaptation research warrant brief highlighting. Firstly, it was pointed out by both Markuu Rummukainen and Hans von Storch that our debate on adaptation ought to move away from the idea that we are adapting from a stationary point in today’s world to a stationary point in tomorrow’s world. Instead we need to realise that change is fluid and occurs all the time, rather than explicitly from one point to another. In that sense we need to think of adaptation more in a way of highlighting the possibility of a number of different futures under a changing climate (rather than a changed climate) and within a variety of socio-political and economic contexts. Secondly, Markuu Rummukainen also highlighted that we should not make adaptation too mythical or mystical. Adaptation is not a recent and solely theoretical concept, but the many case studies presented at the conference and in the wider field of adaptation research and practice highlight that action on adaptation does occur on the ground, and in many cases and in different guises has done so in the past as well. Taken this one step further, Kirsten Halsnaes pointed out that we ought to forget about global optimization and instead get a much better understanding of why people are moving and what actually creates change. Lastly, Kirsten Halsnaes also reminded the audience that ‘climate change adaptation is not a tea party’, highlighting that in her opinion the adaptation community is not being critical enough and that we need to look more below the conclusions put in front of us and not take everything that is being said for granted. In conclusion, the third conference of its kind, following the two previous Nordic gatherings in Stockholm and Helsinki, has not only provided the audience both with an interesting insight into what the state of the current knowledge and action, specifically in the Northern European Countries, is, but also with food for thought on what adaptation research and researchers ought to work and progress on.